Political documentary filmmaker Michael Moore has announced his first new project in six years. He will dive back into the topic of U.S. foreign policy and study America’s state of constant war with Where to Invade Next. Moore confirmed that the project was secretly created and will be aired at the Toronto International Film Festival this upcoming September. Moore made the announcement via Twitter’s live video streaming application, Periscope. He also responded to fans’ questions and expressed appreciation for the support he has received over the years. His question-and-answer session can be found on his Twitter page, @MMFlint. Moore has a successful history of politically satirical and entertaining films. His 2004 film Fahrenheit 9/11 holds the record for the highest-grossing documentary of all time. 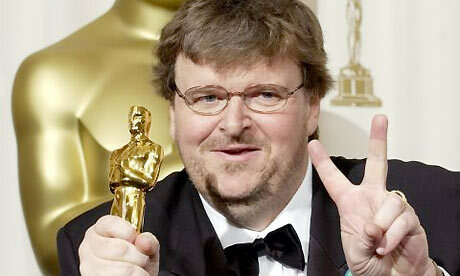 2002’s Bowling for Columbine also helped him leap into the popular culture eye. The Oscar-winning filmmaker’s credits also include Sicko, Captain Mike Across America, Capitalism: A Love Story and his debut movie Roger & Me, which follows his attempt to interview General motors CEO Roger Smith. Moore hinted that Where to Invade Next may be released in cinemas around Thanksgiving or Christmas.